Tre'Vonn Doakes said that, a year and a half ago, his life was on the right track. In his early 20s, he had a good job working for Alcatraz Cruises. He was taking college courses, providing for his two young daughters and had another baby on the way. Then on April 21, 2017, Doakes said he came close to losing everything he cared about. 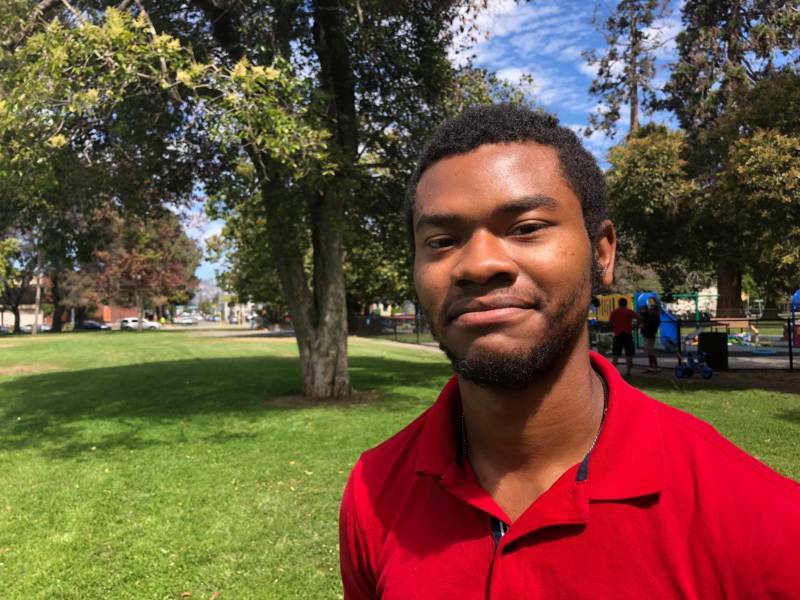 He got in a fight with a family friend who came to his house, and when Doakes called the Oakland Police Department, he ended up getting arrested. “They charged me with two counts of assault with a deadly weapon and one count of domestic violence,” Doakes said. He said he sat in a holding cell in Santa Rita Jail for 12 hours, worrying about his fiancee and his daughters. “It's everything that I was fighting to keep,” he said. Meanwhile, Doakes’ dad was trying to get him out of jail. 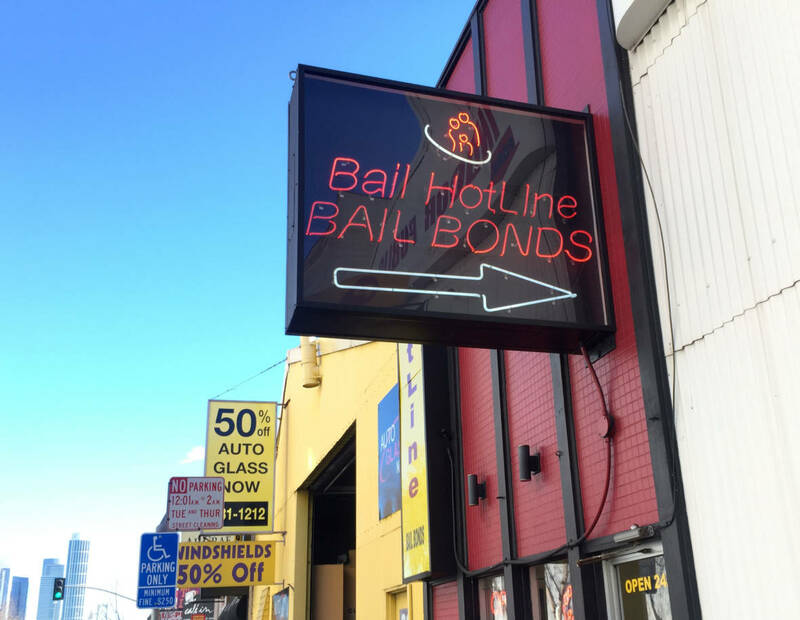 Doakes said Aladdin Bail Bonds agreed to sign a $75,000 bond in exchange for the 10 percent fee that bail companies charge to guarantee a defendant shows up to court. But Alameda County prosecutors never filed charges against Doakes, and he said he never had to go to court. “So why am I having to pay a bail bond?” Doakes wondered. As far as the law is concerned Doakes is free and clear of any criminal case. But more than a year later, he said he is still struggling to pay back the $3,000 he owes Aladdin. If Senate Bill 10, the new bail reform law signed by Gov. Jerry Brown, goes into effect next year, people like Doakes won’t have to pay a bail company to get out of custody, but they won’t necessarily be released either. The new law gives judges a lot of discretion to determine whether a defendant can safely be released pending trial. It gives judges far more power over who gets released from jail as they await trial. There is broad agreement among state and criminal justice leaders that the money bail system in California is unfair and often unconstitutional, but there is disagreement about whether the system under the new law complies with the state constitution. “It's directly in contradiction to the fundamental rights protected by the U.S. Constitution and California [constitution] Article 1 Section 12," San Francisco Deputy Public Defender Chesa Boudin said. Boudin is currently arguing a case before the California Supreme Court that could have far-reaching implications for how — or whether — the new state law is implemented. 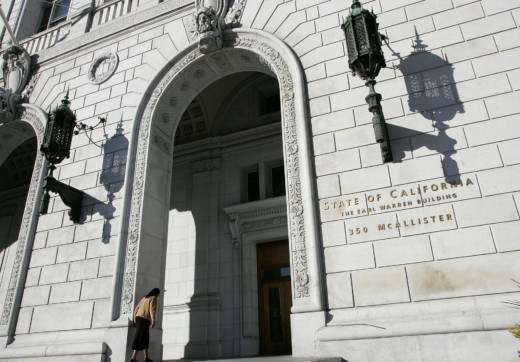 The case of Kenneth Humphrey, whose win before a state appeals court in January upended California's reliance on unaffordable bail amounts to keep defendants in jail awaiting trial, is pending before the state Supreme Court. The state's highest court initially took up the issues raised in Humphrey's case to determine under what circumstances a defendant can be jailed — with no chance to bail out — before he or she has been convicted of a crime. The court also asked whether judges can consider public safety in setting bail amounts. Earlier this month, the Supreme Court requested additional arguments on how SB 10 affects the issues in Humphrey. Boudin says that according to Article 1 Section 12 of the California Constitution, there are only three sets of circumstances in which a defendant can be held before trial. But San Francisco District Attorney George Gascón is arguing that the constitution isn’t that restrictive. There are also many other crimes that are no longer capital offenses, he said, but are very dangerous. Gascón argues that another provision of the constitution — Article 28 — lets judges more broadly consider the danger a defendant could pose when deciding to release or hold someone before trial. But here is where the arguments of both sides get more complicated. Ten years ago, voters amended Article 28 when they passed Marsy’s Law. It says that judges should consider the safety of the crime victim when setting bail and releasing a defendant. Boudin said when voters passed Marsy’s Law, they never intended to repeal Article 12. He's arguing that the narrower provision of the state constitution controls when defendants can be held in jail. Gascón's argument to the Supreme Court is that Articles 12 and 28 can be “harmonized” to work together to protect public safety and preserve the fundamental rights of people who have yet to be found guilty of any crime. Ultimately, it will be to be up to the California Supreme Court to decide which side has it right. "What we have now," Gascón said, "is we have a great deal of uncertainty in the field both for the prosecutor, the defense and the courts, as to when you can hold someone on pretrial detention." The court has ordered the parties in Humphrey to explain their reading of the state constitutional questions surrounding the new state law, SB 10, and submit those briefs by Oct. 24. Meanwhile, the bail industry is fighting to survive. Across the state, industry representatives are gathering signatures for a referendum to overturn SB 10. 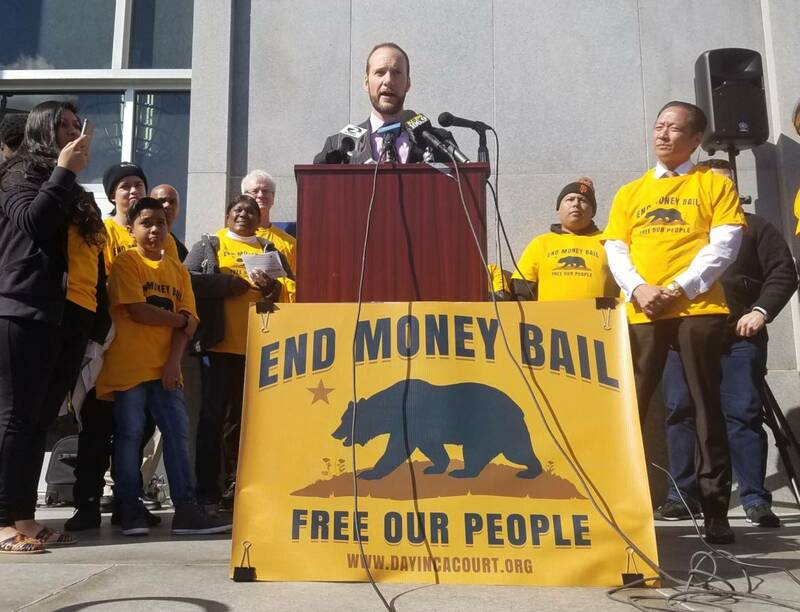 Harmeet Dhillon, an attorney for the California Bail Agents Association, said she is 95 percent certain that bail proponents will be able to gather the necessary signatures in time for a Nov. 26 deadline. If so, the issue would then go back to voters in 2019. “So that means a two-year stay [of SB 10] at a minimum,” Dhillon said. This constitutional debate has in some ways united the bail industry and the civil rights community, both of which oppose SB 10 for different reasons. For bail companies, it represents an existential threat throughout California. Civil rights groups say the law will result in more jail time for poor defendants — just at a judge's discretion instead of through unpayable bail amounts. Dhillon said even if the bail industry's referendum fails, she expects the civil rights and defense attorneys to file legal challenges to SB 10 as soon as it goes into effect.